British billionaire Richard Branson has hit back at claims he lives on a private island in the Caribbean for tax reasons. Life on your own Caribbean island or in damp old England? Billionaire Richard Branson has made his choice and insists tax rates had nothing to do with it. The founder of the Virgin empire hit back at suggestions made in the U.K.'s Sunday Times newspaper that he had abandoned his native Britain for Necker Island for tax reasons. As a non-U.K. resident, Branson is not liable for tax on personal income generated outside Britain. The report also said Branson sold his $2.2 million estate in southern England to his children Sam and Holly in August, having transferred the property to the pair up to five years ago. 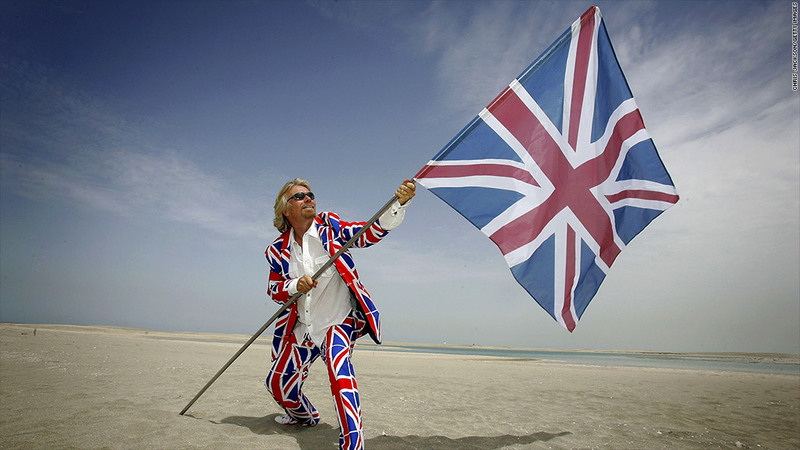 "I have not left Britain for tax reasons but for my love of the beautiful British Virgin Islands," Branson wrote on his blog on the Virgin website. The entrepreneur bought the uninhabited Necker Island 34 years ago and has lived there since 2007. He recently rebuilt an impressive family home on the island -- after the original house was burnt down -- and says he chooses to stay there for health reasons. "There is no better place to stay active and I can kitesurf, surf, play tennis, swim, do Pilates and just play," Branson wrote. Branson also said his companies have paid "hundreds of millions" in tax and will continue to do so. The colorful rich-lister, whose varied ambitions include sending tourists into space, has an estimated personal wealth of around $4 billion. Virgin businesses generate about $24 billion in annual revenues worldwide. Branson founded Virgin in 1970 in London, originally as a mail order record retailer. Since then, the company has expanded into Virgin Group, an umbrella corporation with dozens of subsidiaries that operate in industries including banking, airlines and telecommunications.